Address: 647460 Taymyrsky АО, pos. Khatanga, Sovietskaya st., 18, box 31. 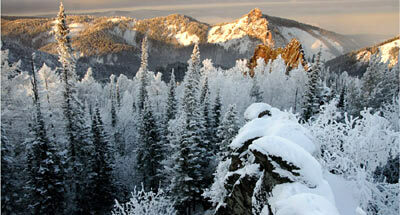 Zapovednik Taimyrsky, in the north of Krasnoyarsky Krai, was established in 1979. Except the main area the Zapovednik includes also three isolated sites – "Ary-Mas", "Lukunsky", "Balakhinsky". The total area is 1781,9 thousand ha. 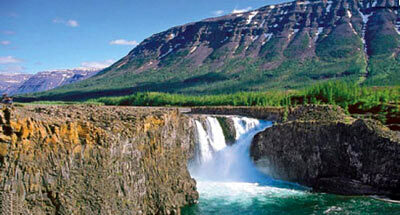 The Zapovednik is located on the right-hand bank of the Verkhnyaya Taimyra River within the North-Siberian Lowland. Northeast of the Zapovednik lie on the spurs of the Byrranga Mountains, rising up to 567 m above the sea level. The water bodies are the Verkhnyaya Taimyra River, its tributary Logata and southwestern part of Lake Taimyr, the greatest freshwater reservoir of the Russian Arctic. Tundra plants are widespread. Small sites of willow and dwarf birch tundras occur, and there are two isolated forest "islands" of Dahurian larch (Lukunsky and Ary-Mas). In the spurs of the Byrranga Mountains are Arctic deserts, mostly with custose and foliose lichens (the cover is 30-40%). The mammal dwellers are: the wolf, polar fox, blue hare, wild reindeer (the most numerous population in the world). 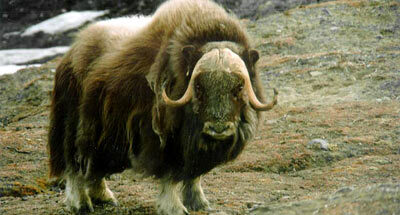 The buffer zone of the Zapovednik concentrates the bulk of the Taimyr population of the introduced musk ox. There are unique rookeries of Laptev walrus. The polar bear is recorded, a species listed in the Red Data Books of IUCN and the Russian Federation. There are numerous waterfowl. The following birds have their nesting grounds in the Zapovednik: the king eider, white-billed loon, Arctic loon, bean goose. Among the rare and endangered birds are the Bewick's swan, red-breasted goose, white-tailed eagle, golden eagle, Arctic falcon, peregrine falcon. The fish fauna includes Salmonidae, graylings, inconnu, muksun, Arctic cisco, shallow-water cisco and other fish species.